Provides access to bicycles and cycling-related resources to those who rely on bikes as their sole means of transportation. They offer new and pre-owned bikes, parts, tools and cycling gear, free maintenance classes, an open repair shop and group rides. They also accept donations. Offers weekly community meals, a monthly legal clinic, and access to their bike shop once a month to the community for repairs and bike rebuilds. They also host summer block parties. Helps families keep their bikes in good working order through its free Open Shop program in which people repair their own bicycles with help from a volunteer mechanic. Youth helmets are free and refurbished bikes and new and used parts can be purchased at an affordable rate. 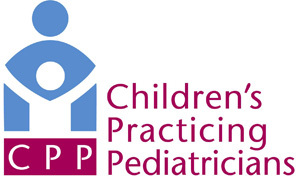 This website helps parents and professionals find information and resources related to child injury and prevention in Ohio. They provide links to organizations, resources and tips on ways to learn about safety topics and current information about injury prevention. Their social media page has lessons that organizations can follow when using social media and interacting online with the internet audience. Offers information and local resources about local biking events and trails, bicycle safety, promotes bicycling in central Ohio. They also provide a Franklin County Home Repair program low- and moderate-income homeowners. A free e-newsletter written by pediatric specialists and customized to meet the health and safety needs of your family. When you enter the ages of your own children, you will only get articles that are relevant to your family. Find information on various health topics and about the disease, condition, medical procedure or test your child needs. Their website provides information on a variety of safety topics, including bicycle safety, passenger safety, concussions, backyard safety, child care safety, computer safety and more. This national organization was started to raise awareness about the problem of child injury, offer solutions and reduce child injury and death. They offer safety toolkits and dozens of downloadable safety plans to share with families and child advocates. Provides bicycle education for individuals and groups, programmed community events and leads fun, accessible rides to places in Columbus, year-round.